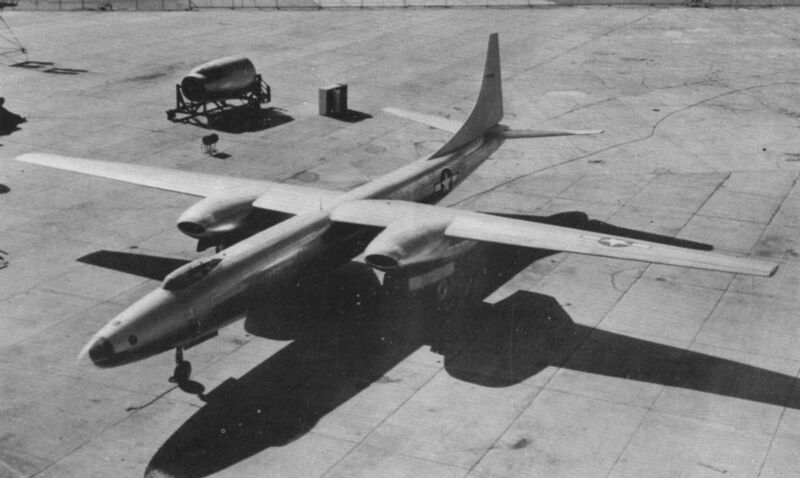 The needle-shaped fuselage of the XB-46 was 106 ft in length. The nose-up angle of the engine nacelles is apparent in the photograph. The XB-46 photographed during a high­speed taxi run prior to its first flight on April 2, 1947. 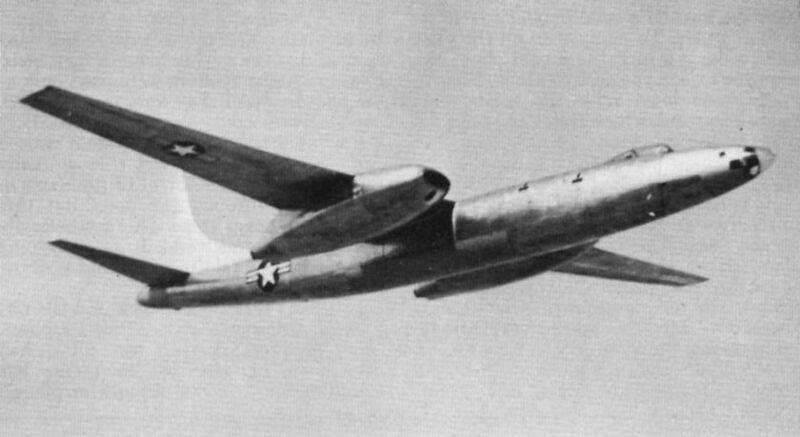 The slender lines of the XB-46 are shown to advantage in this photograph, taken on an early test flight. Only the engine nacelles date the XB-46.